The perfect blend of fresh and juicy strawberries, infused with just the right amount of fresh Kiwi. With our Strawberry Kiwi Odor Eliminator Air Freshener Spray, your place will smell just like your favorite Strawberry Kiwi drink/smoothie. 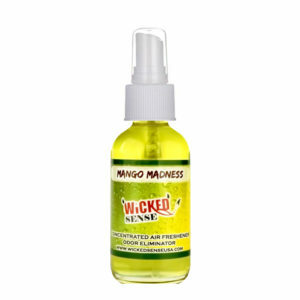 This odor eliminating air freshener will whisk you and your worries away with a true-to-its-name fragrance and smells just like Strawberry kiwi drink. —order your Strawberry Kiwi Odor Eliminator Air Freshener Spray from our online store today! Smells Like: Freshness of juicy Strawberries with a hint of Kiwi, is all you need to beat this summer heat.